Ionis affiliate Akcea Pharma has new data for its antisense drug for elevated lipoprotein levels in patients with cardiovascular disease that it hopes will entice Novartis into a licensing deal. The phase II results – reported at the American Heart Association meeting – show that AKCEA-APO(a)-LRx is effective in cutting levels of lipoprotein(a), an independent risk factor for cardiovascular disease that isn’t generally controlled with existing drugs. Among patients on the highest dose of AKCEA-APO(a)-LRx of 20 mg once-weekly, 98% saw Lp(a) levels drop below the recommended risk threshold, which Akcea says more than fulfils its criteria for taking the drug forward into a phase III programme. It still has to negotiate an end-of-phase II meeting with the FDA, but if that goes to plan it will trigger a decision by Novartis on an option it took on AKCEA-APO(a)-LRx and another Akcea drug for elevated triglycerides last year. If the Swiss drugmaker bites, Akcea and Ionis stand to pocket a $150 million license fee. In the phase II trial it also met safety and tolerability objectives, with the most frequent side effect being injection site reactions, and there were no cases of low platelet counts – a side effect linked to some antisense drugs. “Physicians are looking for a tool to treat their patients who today have no pharmacological option to sustainably reduce their Lp(a) levels below 50mg/dL, the threshold for a Lp(a)-driven cardiac event such as a heart attack or stroke,” he says. Novartis is expected to make a decision on AKCEA-APO(a)-LRx around the end of the year or in early 2019, depending on the timing of the FDA meeting, and if it licenses the programme will take on responsibility for phase III trials. The agreement between the two companies included $75 million upfront and up to $1 billion in milestone payments. AKCEA-APO(a)-LRx is “the first and only drug to show a clinically significant reduction of Lp(a) levels and a favourable safety and tolerability profile in patients with this genetic condition,” according to Dr Louis O’Dea, Akcea’s chief medical officer. “This is a particularly important advancement as elevated Lp(a) can cause cardiac events for patients as early as in their 30s and 40s. 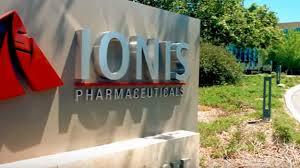 We are actively working with Novartis to prepare for an end of Phase 2 meeting with [the] FDA,” he added. The data is another piece of good news for Akcea and Ionis, which last month claimed FDA approval for Tegsedi (inotersen) for polyneuropathy associated with hereditary transthyretin-mediated amyloidosis in adults, although with a black box warning that could make it tough to compete with rival therapy Onpattro (patisiran) from Alnylam.